Thanks to homeschooling mom, Andrea Contreras, for sharing her experience with the MommyMaestra community! If you'd like to share your homeschooling tips, experiences, materials, please contact me. My name is Andrea and I am a stay-at-home homeschooling mother of nine children. We are a biracial/bicultural family, as my husband is Mexican and I am Caucasian. We live in Texas and have homeschooled our children for the past 14 years. Our oldest son is a homeschool graduate and we should finish our homeschooling journey in approximately 2033. One of the many “hats” I wear as a mom is that of Spanish teacher in our local homeschool co-op. We meet up with about 50 families once a week for a whole day of cooperative learning. Each week, I teach Spanish to several age groups. I have a “splash of Spanish” with the combined groups of 1st/2nd graders and 3rd/4th graders. This is about 15 minutes of Spanish vocabulary. The kids absolutely love this time each week. The other part of my co-op day and the biggest chunk of my responsibility is high school Spanish 2. This class is quite a challenge to teach in just one hour of class time per week. In the past, I have struggled with trying to use a textbook and/or class handouts to accomplish this very difficult learning experience for my students. However, this past school year, I found what I consider to be the best learning experience possible for these students. I use two online resources: Conjuguemos and Duolingo. After an entire year of using these two resources, I believe my students left my class with a much better understanding of the language, as well as a much broader vocabulary. As always as a homeschooler, I will tweak my system a little for this year, but I am so excited to have found these websites. Now I will tell you a little bit about them and how I use them. First I use Conjuguemos as an activity and quiz creator. It also serves as a storage system for the activities I create. It can also be used to keep track of student activity and grades. Each student has his/her own account and can access the activities I have created for them. Duolingo is the backbone of my class. It is an interactive, game-like website with a touch of social media. The students and I each have a Duolingo profile and we follow each other’s progress through the course of the program. The Spanish-language course is split into three levels: beginner, intermediate and advanced, with many skills in each level. You have to pass a skill to unlock future skills. You can maintain your “streak” by not missing any days of practice. You also earn “lingots” as you advance, which can be used to “purchase” things from the “lingot store.” This program also has a teacher dashboard where student progress can be monitored and activities can be assigned. There are many other features of the program that I have not yet utilized with my students. I really love that Duolingo has research-based language-learning experiences. I love that the students can communicate and compete with one another in their learning, like they do in a game. I love that Duolingo offers apps so students can access the “game” on their hand-held devices. But most of all, I love that Duolingo offers great, fun language learning for FREE! 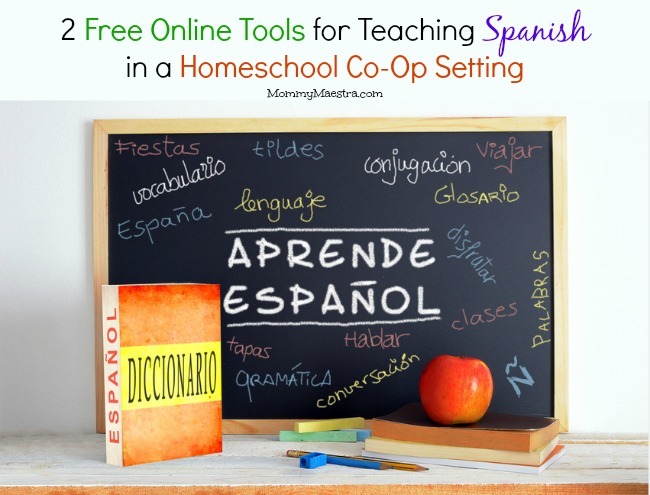 This is great i would love to get in contact with this lady since I am new to the state of Texas I am having such a hard time finding any Spanish speaking homeschool co-op and would love to know if she can give me any suggestion or I am even close to her area. I have so many question on homeschooling my kids in Spanish that I would to find some one that can help me! Hi, Fam. If you'll email me your contact information, I'll share it with her.